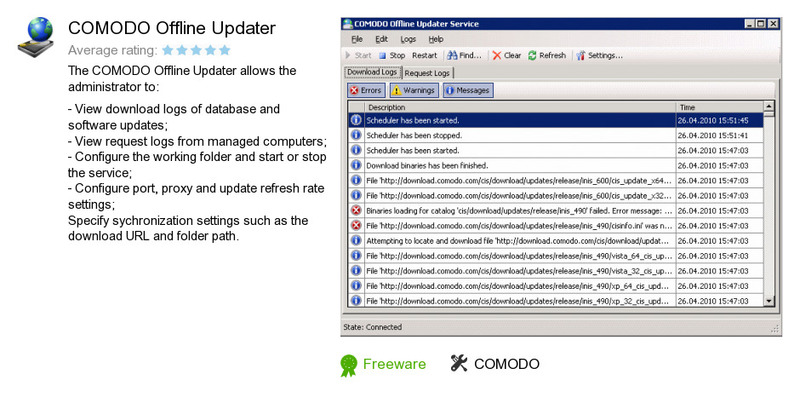 COMODO Offline Updater is a software program developed by COMODO. We know of versions 1.2, 1.0. Version 1.2.30701.2 is downloadable at our site. COMODO also publishes Comodo TrustConnect and COMODO ESM Agent.